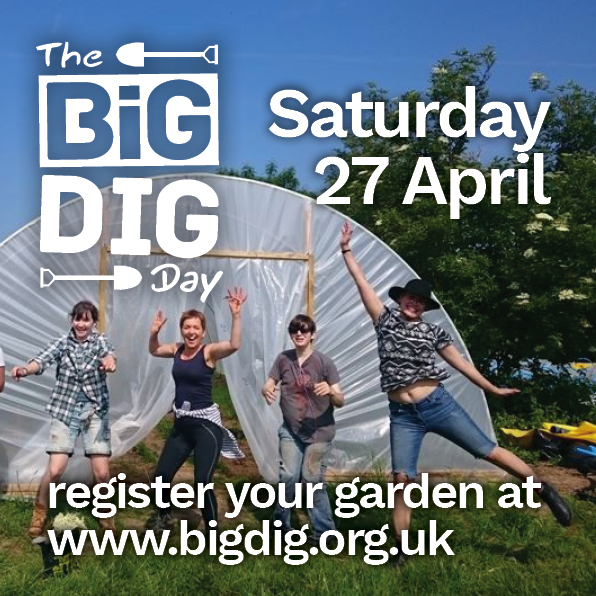 The Big Dig Day has been running for 8 years and is a great way to get your growers ready for the season and reach new people. Registering is quick and easy for Big Dig and Capital Growth members and you also be added to our national Big Dig map of gardens and events. If you're not already a member, it's quick and easy to join the network. This year we are focusing on inclusive and age-friendly volunteering, helping gardens to raise their profile to new volunteers as well as welcoming regular volunteers back for the growing season ahead. “We noticed that many gardens were slow to start the growing season and have found the event really helps local people to spring into action”, explained Sarah Williams, Programme Director at Sustain, who launched the day as part of Capital Growth in 2012. Since this time they have worked with gardens to welcome thousands of volunteers to get growing on the annual day. “Big Dig really put our garden on the map. We were really pleased to have the social media support and the [resources]. It was our launch event and will be one of our major events in the season each year. A real crowd-pleaser after the colder weather relents each year.” The Plot at Whetstone Allotments, Big Dig Day participant in 2018. Capital Growth: The Capital Growth campaign, run by Sustain's London Food Link offers practical and financial support to communities around London to help more people grow more food, and to have greater access to land and growing spaces for community benefit. The Capital Bee project, part of Capital Growth, seeks pledges to promote bee-friendly behaviour, and supports establishment of community beehives.